Yet another prestigious event to add to their celebrity credentials, Sienna X is proud to be the ‘Official Tanning Brand of The BRIT Awards 2011 with Mastercard’. Stationed backstage at The BRITs Spa, Sienna X are offering VIPs the opportunity to indulge in a specially developed BRITs spray tan; ‘Perfect Performance’. This innovative tan benefits from natural ingredients and is alcohol and paraben free therefore delivering professional, even coverage that works with every skin tone. Sienna X ‘Perfect Performance’ spray tan is the ideal base for airbrushed make up; there’s no need for a dress rehearsal, take to the spotlight and be the star of the show. 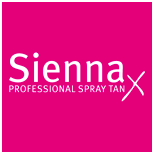 With its multi-award winning teamed of therapists, Sienna X will provide all performers nominees and presenters with their bespoke‘Perfect Performance’ spray tan, either in the comfort of their dressing room or from the Sienna X spa treatment room backstage at the BRITs Spa. Launching exclusively at The BRIT Awards 2011, ‘Perfect Performance’ will be available nationwide following The BRIT Awards Ceremony, Tuesday 15th February. It’s all about star quality with professional results.